Replacing the windows in your home isn’t a small project and shouldn’t be taken lightly. With such an important project, you’ll want to make sure everything is right and to your liking. Madison’s weather, home styles and the room they’re going into all play a factor in the type of windows you should have installed. That’s why we’ve developed the ultimate buyers guide to replacement windows specifically for Madison homeowners – to make sure you get the perfect windows for your home. 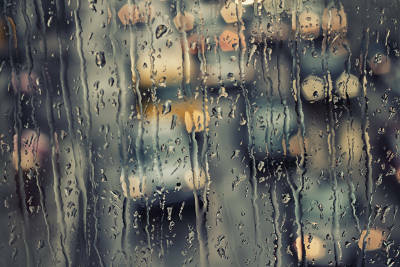 Knowing Madison’s weather patterns is essential when considering replacing your home’s windows. During the summer the average high temperature is 80 degrees F, the low is 59 degrees and the average rainfall is 4.25 inches per month. Winters in Madison have an average high temperature of 29 degrees F, a low of 14 degrees and an average snowfall of 12.5 inches per month. The annual average for rainfall in Madison is 34.44 inches and snowfall is 53 inches. In other words, Madison experiences four drastically different seasons with over 80 inches of precipitation each year. There are several windows perfect for these weather conditions. Dual pane, Argon gas filled windows are great for the varying temperatures. They are well insulated and will keep the outdoor elements out and your heat and air in your home. In addition, double hung and casement style windows are great for opening up and allowing fresh air to circulate throughout your home. Awning windows are a fantastic option for Madison’s heavy precipitation. They are hinged at the top and open from the bottom creating an awning affect. 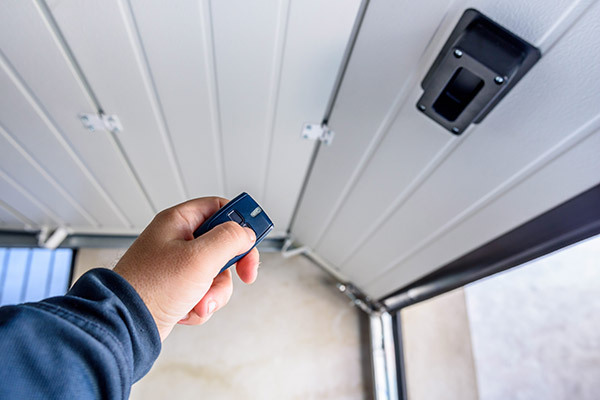 This will protect your home from rain and snow and will allow you to keep your windows open during most weather conditions. Madison experiences 4.25 inches of rain each month during the summer so an awning window would still allow you to circulate air throughout your home during any weather condition. Different styles of windows look and operate better in different rooms of your home. Before replacing the windows of your Madison home, know which style looks and operates best in a certain room. According to a study done at the University of Pittsburgh’s School of Medicine and featured in an article by Time, sleeping in a cooler (not cold) room has been linked with many health benefits including the amount of “Brown fat” in your body (might not sound like a good thing, but it is). This is important to remember when choosing a window for your bedroom. We mentioned above that Madison’s seasons are extremes. You’ll have hot summers and cold winters. Due to this, a well insulated, operable window is the way to go for your bedroom! Double hung and casement windows are typically found in bedrooms for this reason. Having an operable window gives you control over temperature and air circulation. As the study above mentioned, you’ll want to keep your bedroom on the cooler side while you’re sleeping. During the fall and spring (and even early summer and winter), you’ll be able to open your windows and enjoy a comfortable breeze. Double pane, Argon gas filled are also known for their insulation. The insulation will keep the warmth in your home during the cold months. During the extremely hot months, you’ll want to keep the cold air from your air conditioner in your home. This will also save you money on your utility bills. Kitchen windows tend to be different styles than found other rooms. 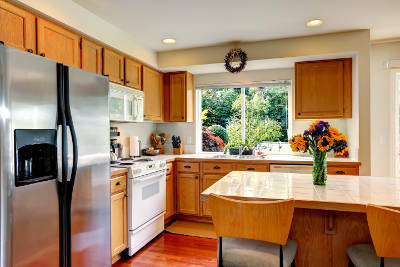 Above your sink you’ll typically find a garden, sliding or picture window. The picture window allows the most light into your home making your kitchen very bright and beautiful. Sliding windows are perfect for above your kitchen sink because it’s a difficult area to reach. With their sliding track, it requires little effort to open. This will add air circulation to your kitchen that you otherwise wouldn’t have. Garden windows protrude from the exterior of your home giving you extra space in your kitchen. It’s perfect for housing plants allowing them to get the proper amount of sunlight. With the harsh winters in Madison, the addition of a garden window will allow you to grow plants and herbs year round. Living rooms are found in the front of your home so you have to be conscious of the exterior in addition to the interior when choosing a window. Popular options are bay, bow and picture windows. Bay windows are three windows – double hung and casement on the sides with a picture window in the middle. It extends past the facade of your home. Bow windows are three or more double hung, casement and picture windows that also extends beyond the facade of your home. 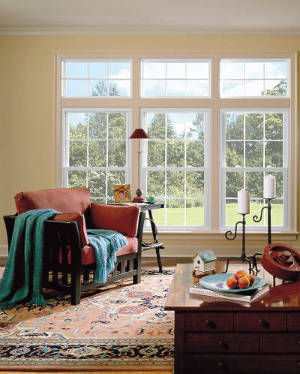 Picture windows give your Madison home the best sight lines and allow the most light into your home. This will give the illusion that the room is larger and more open. The addition of grids will add another layer of beauty to your window. Most of your family’s time is spent in the family room so it makes sense that you’ll want the room to look and feel the most comfortable. 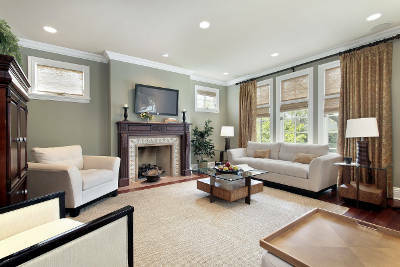 Almost any window looks and operates great in a family room. 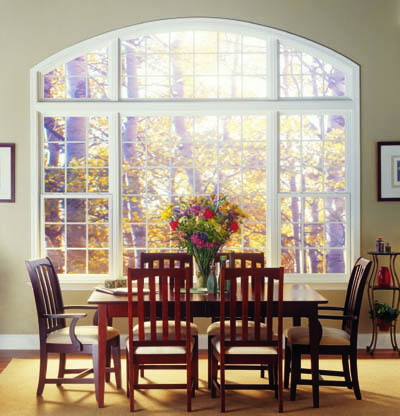 Bay, bow or picture windows allow in the most light and add elegance to the room. It also helps make the room feel more open. Double hung, casement and awning windows allow you to control the amount of air circulation in the room which is fantastic for regulating the temperature. When entertaining guests, this is something you’re going to want so everyone is comfortable. 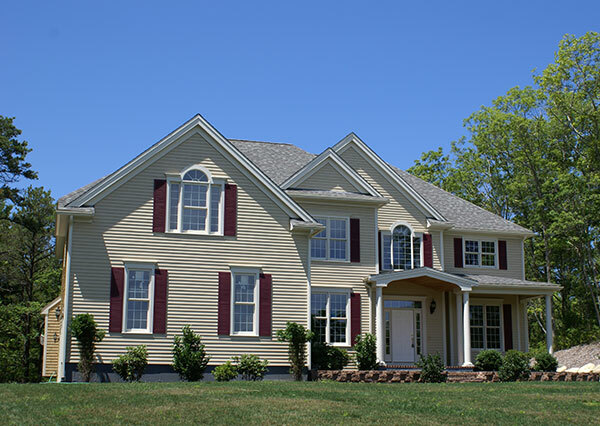 Madison has several different types of home and each one has a specific set of window styles that look and operate best. Knowing what style of home you have will affect which style of replacement window you should consider. The prairie style home was introduced at the beginning of the 20th century by Frank Lloyd Wright. The style’s architecture is supposed to express the flat sweeping look of prairies which are typically found in the Midwest. This look combines comfort and beauty to create a unique style. Madison prairie homes focus on sloping roofs and deep shadows. Prairie homes in Madison tend to have large windows in the front of their home. Picture, casement and double hung windows are popular options to give the home great sight lines, an ample amount of light and a mix of operable and inoperable windows. Many Madison Prairie homes add architectural windows to accent the home. These four windows used together create the look of comfort and beauty that defines a prairie style home. 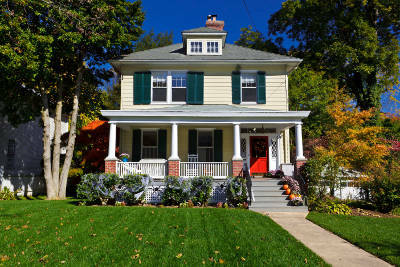 Similar to craftsman homes, Madison bungalow homes were designed during the arts and crafts movement which originated during the Industrial Revolution. They were most popular in the Madison area during the 1910s and 1920s. 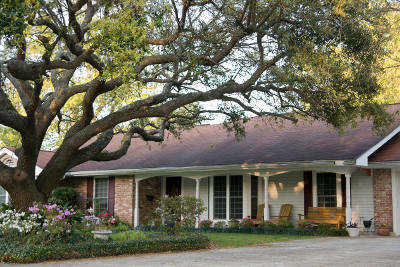 They have a brick or a brick/siding exterior to give the home an extremely cozy feel. 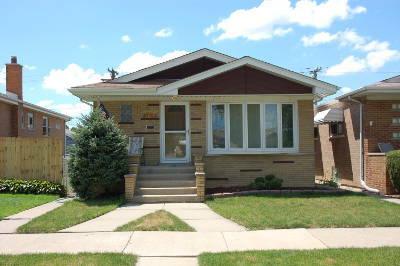 Many Madison bungalows have double hung and casement windows. This further drives home the feeling of coziness as they both are operable windows. They gives you the ability to control the temperature and air circulation in the room. Ranch style homes in Madison are great starter homes. They are usually one story with a finished basement. They are also typically wider than they are deep. Ranches are typically broken into two sections: a living wing and a sleeping wing. Since Madison ranch style homes are built with a horizontal layout, different windows look and operate best in different areas of the house. Bay and bow windows are best in the front of your ranch home to allow the most light in and give the illusion of a larger entry room. This is popular because it’ll make your home feel large and welcoming. 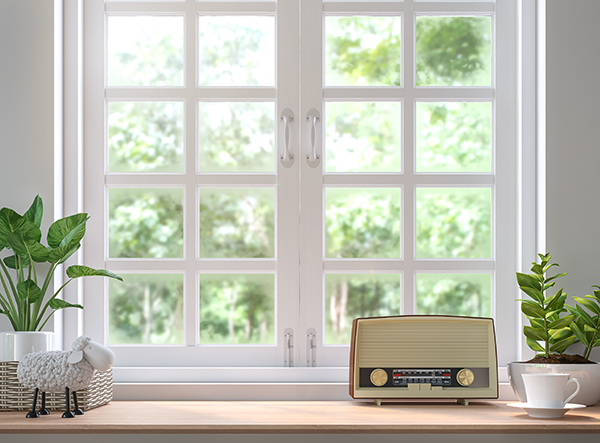 Since bay and bow windows can be a combination of operable and inoperable windows, you aren’t losing the ability to control air circulation and temperature control. In the back, large sliding doors are popular because, much like the front of your home, you aren’t sacrificing operable windows for ample light. It also gives you another exit to your home – usually to a patio, deck or backyard. 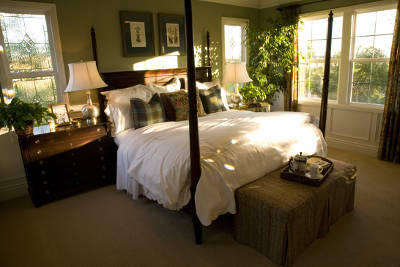 In the bedroom of your Madison ranch, it’s recommended to have a casement or double hung window. As we mentioned above, it’s important to sleep in a cooler room for health reasons. Having an operable window in a bedroom is essential for controlling air circulation and temperature. When you think of hand-crafted character, Madison craftsman style homes should come to mind. They’re built with all locally sourced materials and use uncomplicated designs. The open plan interiors are extremely attractive to homeowners in Madison. Picture windows in the front of your home are great for the craftsman’s open design. They will make the room look large and add an ample amount of light into your home. This will complement the open design. Upstairs usually has double hung, casement or awning windows. They’re perfect for the air circulation and regulating temperature. Awning windows are especially nice because they’ll protect your home’s interior from the 80+ inches of Madison precipitation each year. There’s more to window replacement than the style of windows. There are a few more things to consider during and after the window installation process. Picture, bay and bow windows are very large windows and give people outside the ability to see inside of your home easily. That can be a very uncomfortable feeling. You don’t want everyone to have the ability to see you in the privacy of your own home. 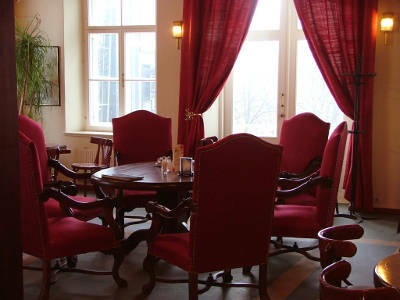 The addition of drapes or curtains will provide you with the privacy you desire. 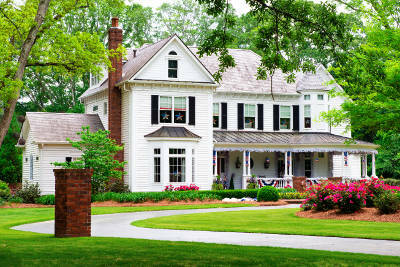 Adding grids to your windows improve the interior and exterior of your home. They improve your home’s curb appeal by breaking your windows into smaller panes for an interesting and unique design. From the interior, the grids affect how light enters your home and creates dramatic shadows which add elegance and an attractive look. One of the biggest issues with windows is having condensation trapped in your windows but it can be avoided. 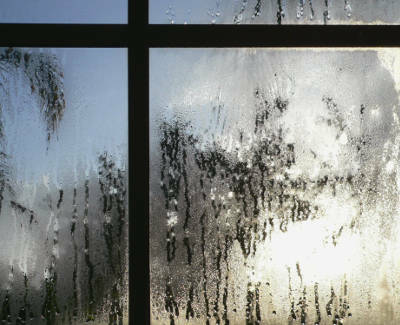 Condensation occurs when there is a drastic difference in temperatures inside and outside of your window. The humidly causes your windows to sweat. With Madison’s drastic temperature changes and having your heat or air conditioning on, your windows are a prime candidate for condensation. Occasionally opening your windows, opening your curtains and blinds or purchasing a dehumidifier will all help prevent condensation from forming in your windows. Knowing your home is the best way to get the perfect windows for your Madison home. Weather, home styles and the room of your house all affect the types of windows you should consider. Our ultimate guide to replacement windows for Madison homeowners should help you determine which type of window works best for every room in your home.